Although metals, ceramics, and particulate filler resin composites have successfully been used as implant biomaterials for decades, devices made out of these materials do not meet all surgical requirements. This review describes the structure and mechanism of function of biostable glass fiber-reinforced composite (FRC) implants, which contain bioactive glass. For instance, metal objects may interfere with some medical imaging systems (computer tomography, magnetic resonance imaging) and biomechanical mismatch of implant and bone may cause stress shielding-related bone resorption. There has been a lot of development in the field of composite biomaterials and bioactive materials and more focus of implant development has been put to biostable composites as implant material. Biostability of implantable medical devices is important to ensure success of the treatment in short and long term especially in load-bearing applications. FRC with continuous glass fibers in a biostable thermoset resin matrix provides high strength and high toughness non-metallic biomaterial. By adding bioactive glass to the FRC implant, the implant supports osteogenesis and vascularization, and provides even antimicrobial properties for the implant. Although the FRC implants and the material are used clinically in cranioplasties, further research is needed to demonstrate the most suitable implant designs for load-bearing applications for jaw bone reconstructions and orthopedics. The author is an inventor and scientific consultant in the dental FRC material producing Stick Tech Ltd.—a member of GC group. The author has a role also as Member of the Board and shareholder of the Skulle Implants Corporation. Ferrari M, Sorrentino R, Juloski J, Grandini S, Carrabba M, Discepoli N, et al. 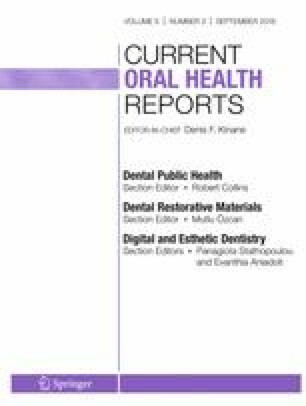 Post-retained single crowns versus fixed dental prostheses: a 7-year prospective clinical study. J Dent Res. 2017:22034517724146. https://doi.org/10.1177/0022034517724146.